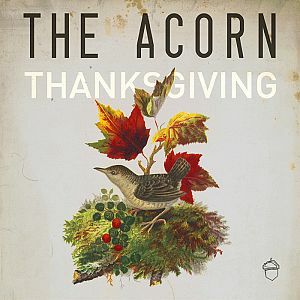 The Acorn Restaurant is giving thanks this year by taking dinner reservations of all party sizes on Sunday, October 8th and Monday the 9th for a Thanksgiving feast. In addition to their newly launched a-la-carte autumn menu, the Acorn is offering the “Everything but the Bird” vegan thanksgiving feast. The special menu will consist of everything you’ve come to expect on Thanksgiving done in spectacularly creative Acorn fashion. At $45 per person, dinner includes an appetizer, a very plentiful main course and desert, which will certainly leave you adequately stuffed. Sharing is encouraged; after all, that’s what Thanksgiving is all about. Full table participation is required. The regular Acorn menu will still be offered along with new fall cocktails, beer and wine. 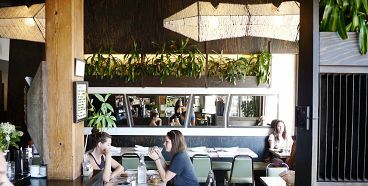 The Acorn is a completely vegetarian restaurant that caters enthusiastically to vegan, gluten free, and raw diets. After opening its doors in the summer of 2012, it was listed in En Route Magazine’s top 10 Best New Canadian Restaurants of 2013 – The only vegetarian restaurant to ever receive the honour – as well as garnering praise from The New York Times, Huffington Post, and CNN. The Daily Meal named The Acorn the 2nd best vegetarian restaurant in the world in January 2015.